Birds have been in vogue for a few years now though they might be on their way out. I love the bird mobiles that various creatives have made; you can see some versions here and here. There is a simple and stylish FREE pattern for making these little fabric chirpies found here on my pinterest “to make” board via spool. Instead of a mobile I made a wall installation with three bamboo poles, found at Target on clearance, and a few brackets from the hardware store. 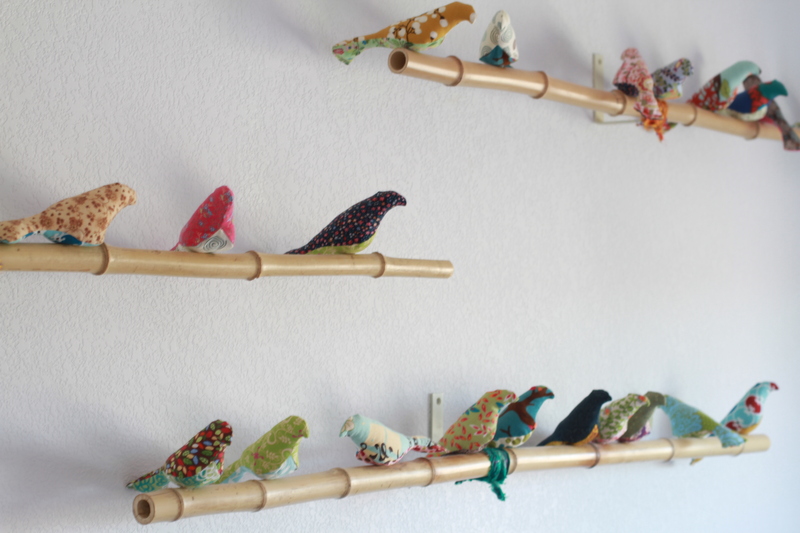 The birds are great for using up scraps and are stuffed with thrifted stuffing, so they cost almost nothing. And my guest room has a large and cheerful flock of visitors. 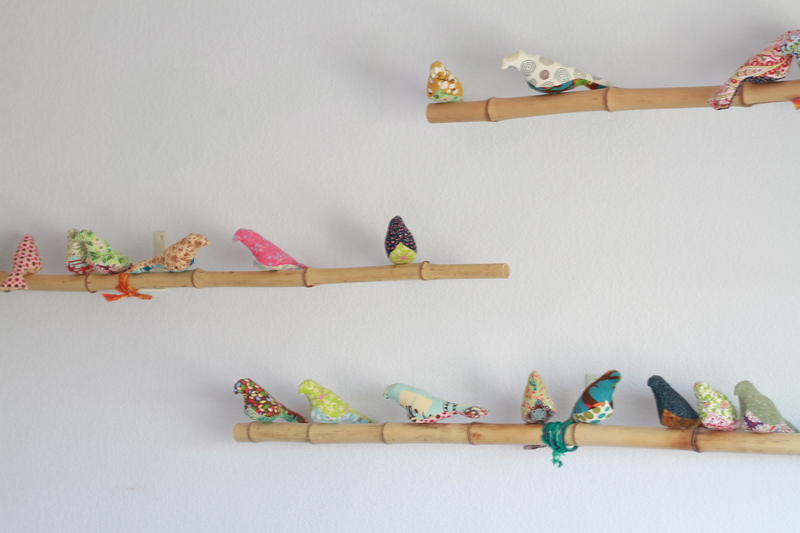 This gallery has 30 birds and they are adhered to the bamboo with hot glue, which is sturdy but removable. 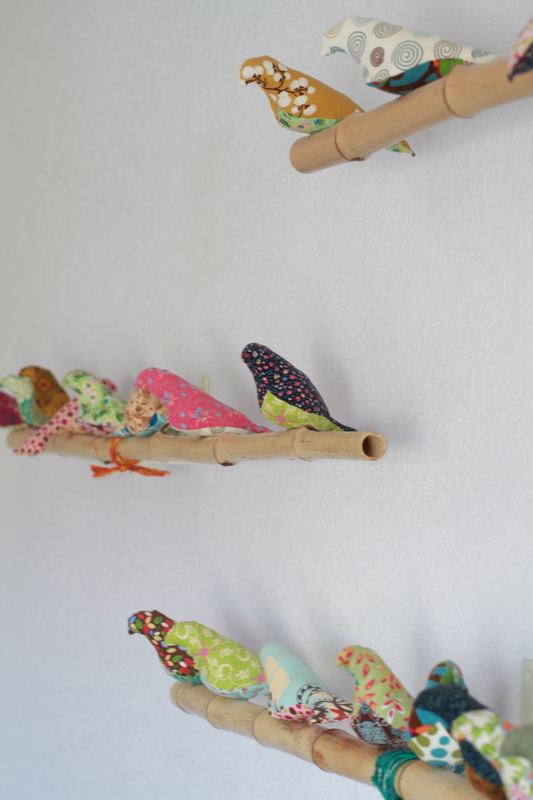 You are currently reading Pinterest project- birds on a wire at whatsarahfound.